Seriously, where in the heck has the week gone? Sorry my bloggy followers, things are a bit busy around here and I just don't have enough time to get everything done. In some ways I am feeling calmer about work in the studio, I feel like things are getting finished, but then I look ahead at my schedule for the rest of the year and I freak out again. I will explain more on my schedule in another post down the road. But check all these great pubs that have come out recently. They all have my beads! Yippee! 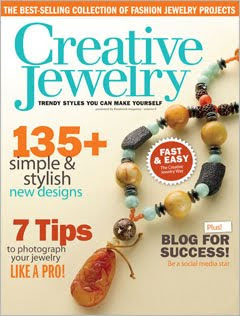 First is Creative Jewelry, this magazines is a can't miss of the summer. The publish it once a year and it is always full of great stuff. 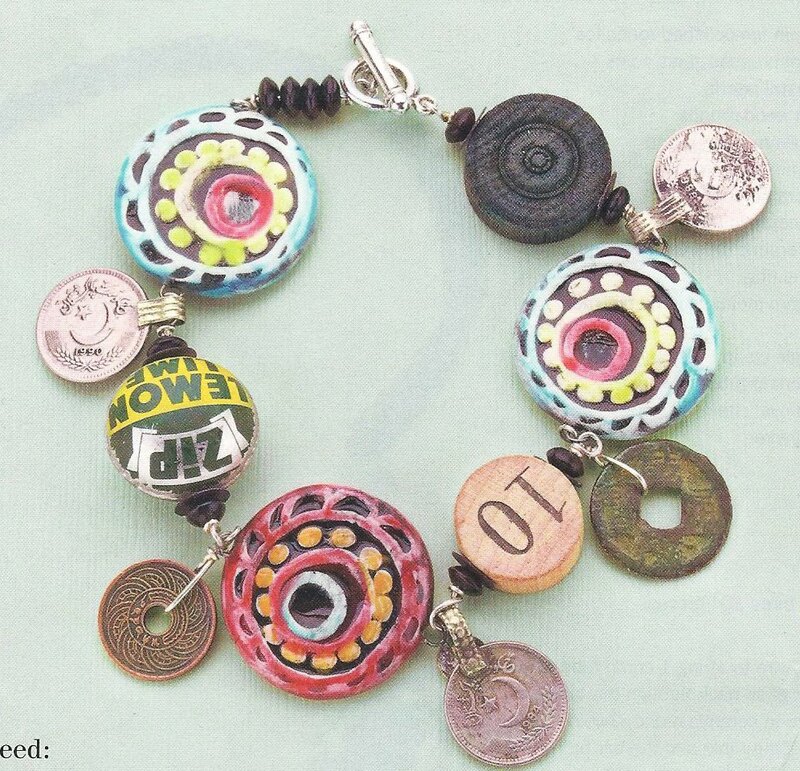 The eclectic bracelet above is in the magazine. 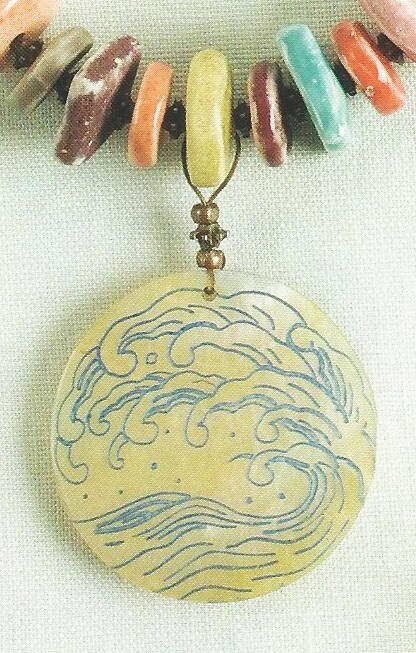 Here is another great piece, well a sneak peek at a great piece. This was designed by Jamie Hogsett. Thanks Jamie! It's fabulous, like all of her jewelry. She has written many books, I have several of them and the are all fabu. You can find that project in the summer issue of Stringing. Last but not least, here is a book I am dying to get my hands on! It is out and Margot is sending me a copy as we speak. Actually, I think it is two copies so I can give one away here on my blog, wahoo! Stay tuned for more on that later. 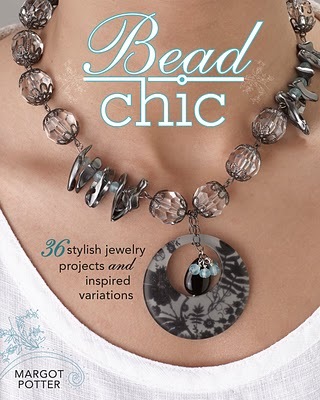 But I got to design a project for Bead Chic and I can't wait to see it in print. Alrighty, that a lot of information for you to take in. I think I will stop here. 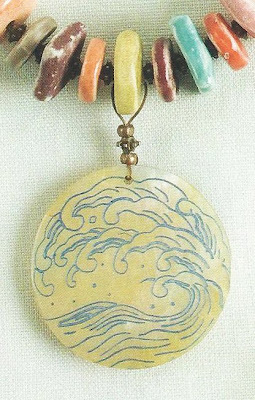 I am going to head back out to the studio where I have two kilns firing and a pile of things to glaze.